If I had to choose one bread whose aroma while baking consistently makes my mouth water, it would have to be cinnamon raisin bread. 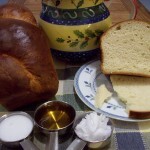 Unlike baguettes or pan de campagne, which are made from lean doughs (i.e., doughs with little or no fat), cinnamon raisin bread is made from a rich dough. 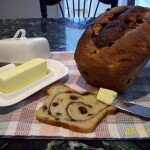 The fat used here is butter (in this case, about 20% in baker’s percentage) and it gives the cinnamon raisin bread its distinctive soft crumb and luxurious texture. The percentage of fat in a dough is usually the determining factor in deciding when during the mixing process that fat is incorporated. As a general rule, if the fat is 5% or greater than the total flour weight, the fat should be added to the dough after most of the gluten has been developed; less than 5% and the fat can be added at the beginning of mixing with the other ingredients. Since our dough contains 20% butter, it is incorporated towards the end of the mixing process. The following formula is a modification of one given to me by a very generous friend who also happens to be a professional artisan bread baker. One of these days, despite his modesty, he might even let me thank him on this blog by name! The evening prior to baking, mix the ingredients of the poolish to a temperature of 70°F and allow to ferment overnight at 70°F until mature, about 12 hours. 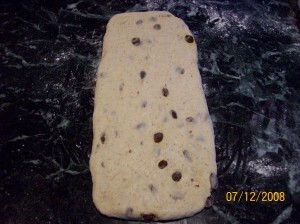 The same evening, add enough water to the raisins to cover and allow them to plump up overnight. The next morning, add the mature poolish to the white, rye and whole wheat flours, instant yeast, milk powder, salt, and sugar. Mix in enough of the water (in my case, all 240 g were used) to make a loose, shaggy dough. 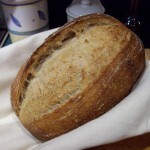 Mix by hand (Musings on Mixing…) until the gluten is moderately developed, about 10-15 minutes. Fold in the softened butter and continue hand mixing. 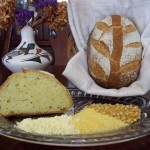 When the butter begins to get incorporated into the dough, the dough will start to shred. To borrow a phrase from The Hitchhiker’s Guide to the Galaxy, “Don’t Panic!.” Continued mixing will bring the dough back together into a smooth, supple consistency. 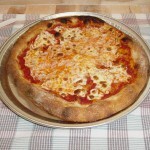 After the first fermentation, divide the dough into two pieces and lightly round both pieces. Let the dough pieces rest, under a plastic sheet, for 15 minutes. 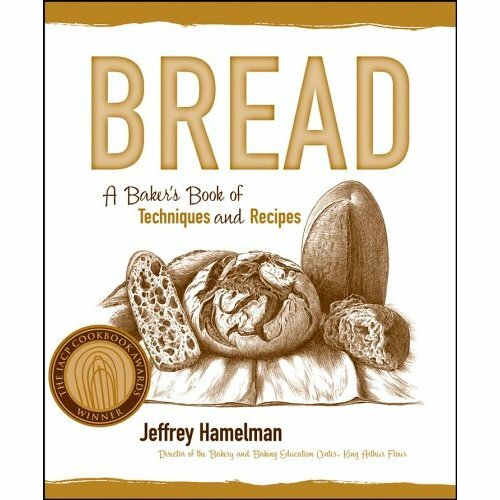 Begin forming the loaves by rolling out each dough piece into an oblong shape. 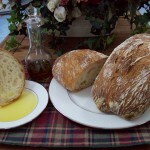 Brush with melted butter to prevent the layers from separating during baking. Spread a thin layer of cinnamon sugar over the buttered dough. 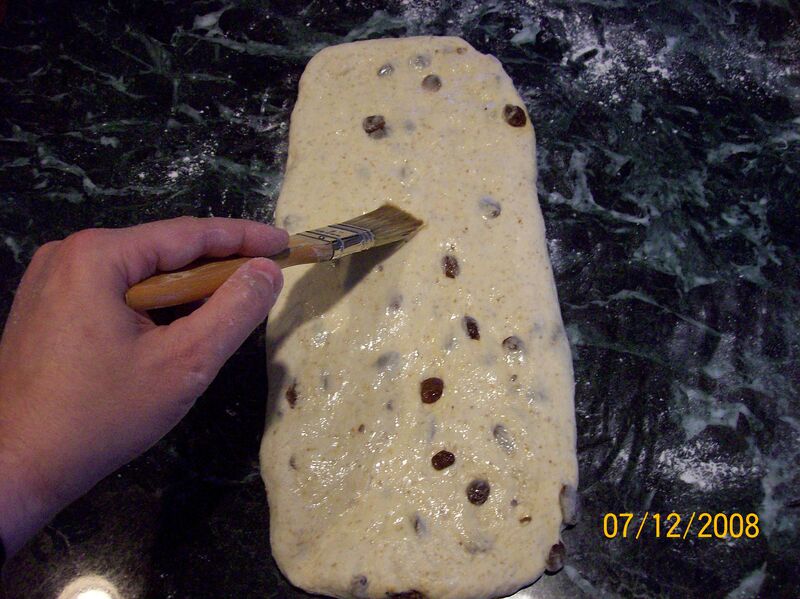 Leave a small border around the edges of the dough so that the dough can be sealed after rolling. 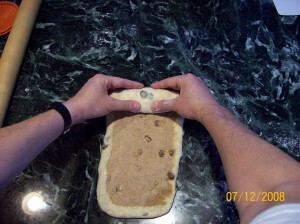 Beginning at the far side, roll-up the dough, all the while maintaining tension at the surface of the dough. 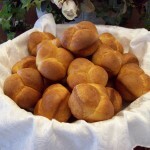 Place the rolled-up dough into lightly greased loaf pans and lightly tamp down the ends. Cover the loaf pans with Saran QuickCovers and allow to ferment a second time for 1 hour at 78°F. The loaves are then scored down the middle and baked in a 350°F oven for 50 minutes, with steam being supplied during the first 10 minutes of baking. After removal from the oven, the loaves are allowed to cool, then brushed on top with melted butter and lightly sprinkled with cinnamon sugar. OK, I take back the gram comment… I see grams. Good. The videos are great. Have you thought of talking in them to explain? It could help even thought the seeing is perfect. 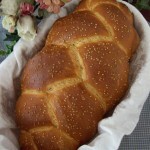 I’ll definitely make this bread during the holidays. The family will love it. 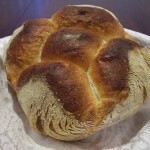 I’ve made the Hamelman one that I put in my food blog (not the bread one). It’s excellent, too. As a former organic chemist, I actually feel more comfortable working in g and mL than I do in lbs. and oz. Those formulae with weights in lbs. and oz. are either older formulae which I have not yet converted or are based on formulae from books which use the avoirdupois weight system. In future posts, I will be using the metric system, when possible. Thanks for the suggestion about my speaking during the videos. I’m one of those people who have a hard time listening to their own voice on a recording. I’ll have to see if I can get past that! I wasn’t aware that you had a food blog. Could you please let us know the URL? 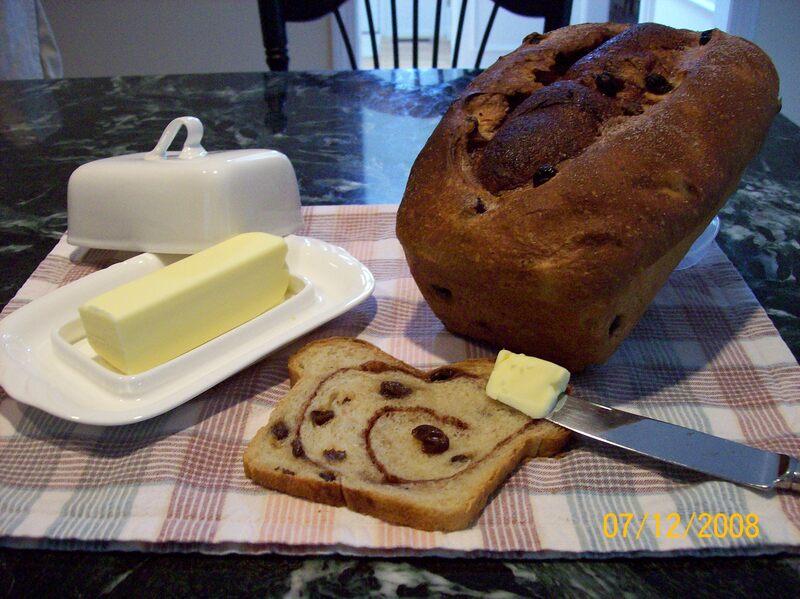 Cinnamon Raisin Bread always makes my mouth water too! 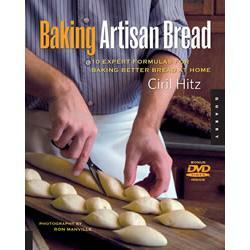 Your bread looks much softer than all the recipes I tried!! My mouth waters again. Natalie, thanks for the kind words. 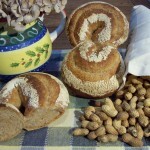 You have some beautiful breads on your blog! Using the butter layer over the dough before the cinnamon mix sounds tasty, but I have found using any fat between the layers of dough tends to make them separate and form big tunnels during baking. I use water or sometimes egg white. It seems to “glue” the layers together better. JanH, that’s an interesting observation. I can see how it might make sense, with butter layers used to create the space between dough layers in croissant, for example, but in my experience, I’ve found that the melted butter coating results in fewer voids when compared to using no coating at all. Perhaps it’s because most of the melted butter is absorbed by the dough. In any event, I’ll have to try your method of using water or egg white. Thanks for the suggestion! 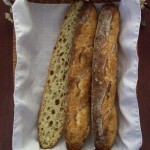 Why on earth would you want to eat that beautiful bread in such skinny slices! Enjoying your blog & the great videos. I’m on tenterhooks waiting for your method of introducing steam during baking, a major problem with a convection oven which I have not fully overcome. Patsy, I’m glad you’re enjoying the blog. You’re right about the thicker slices… they make wonderful French toast! 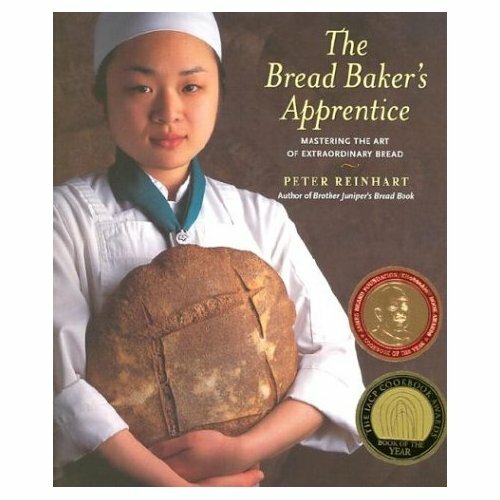 I’m hoping to discuss steam introduction in my post on pain au levain, more commonly called sourdough bread here in the US. I hope to have that post up soon. A suggestion: The video is great, but folks on dial up (like I use at home) have a hard time getting video like this to download and run. 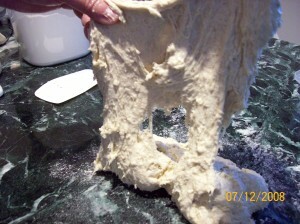 Your instruction says “Halfway through this first fermentation, fold the dough as shown:”. If we can’t see the video, we miss the instructions on how to fold. It would help (for those with dial up and also for anyone who wants to save the recipe offline rather than just bookmark it) if you would explain the process in the text, then use the video as a demo of what you described. Thanks. Jan, I try to use video to demonstrate techniques that would otherwise be difficult or too cumbersome to describe in text. The QuickTime videos I post do allow for starting play before the entire file has been downloaded. I hope this is at least of some value to dial-up users. What material is your countertop made of? It’s lovely and looks as though it could be soapstone. Was it something you had installed, or already in place when you moved in? Just curious about your views on pros or cons of whatever the material is. 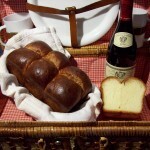 And, yes, the bread looks scrumptious, too! We chose marble as our countertop surface because it stays cool during the summertime, which is a big plus for pastry and bread making. In the wintertime, when staying cool isn’t much of a problem here in New England, I use a wooden tavolini board placed over the marble as my work surface. 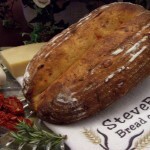 SteveB, my mouth is watering, and I can hear the kids asking for their third slice already! What a gorgeous looking loaf. I am so looking forward to trying this recipe. Thank you for sharing it, and the videos help make things clearer. Thanks for making your blog of such a consistently high standard. KathleenH, thank you for the nice words. I think you’ll have fun making (and eating!) 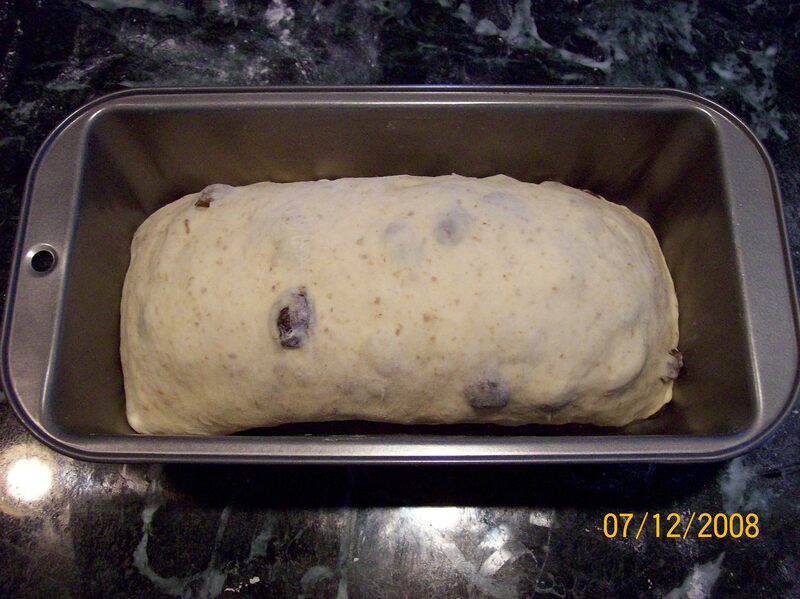 the cinnamon raisin bread. 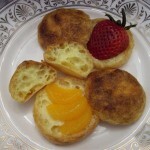 If you’re a fan of sweet doughs, keep watching this blog… I plan to add a post on brioche sometime soon. Thanks for the ‘brushing with butter tip.’ I allow my bread to rise in the fridge over night and have not had any problems with the layers separating. But if I decide to let it rise at room temperature, it’s nice to know I won’t have to worry about that. Wow! This is the best cinnamon raisin loaf I have made! Layers did not separate, gorgeous swirl pattern. Per your instructions, I steamed the first 10 minutes. End result was very successful, though I had trouble with the mixing steps. I scaled all ingredients, adding water as required (I ended up holding back about 3 T). 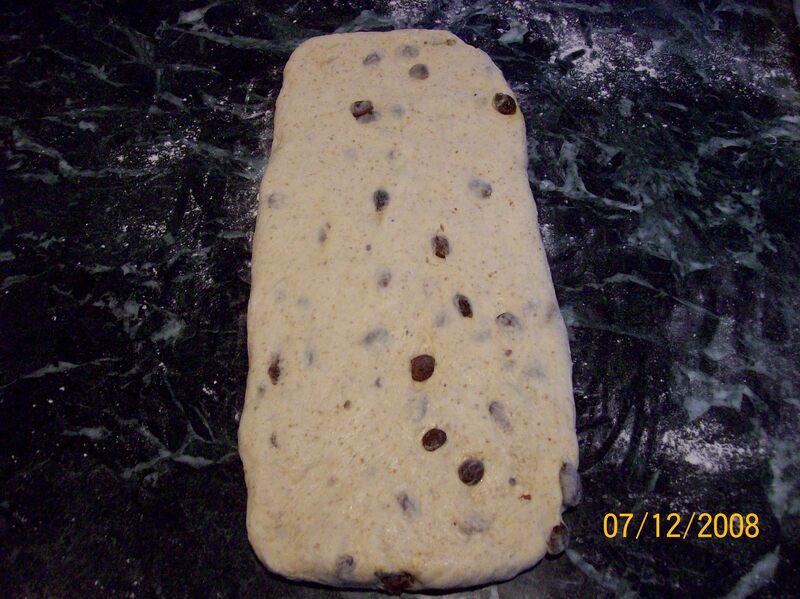 By the time I added the raisins, the dough was VERY wet – I resisted the strong urge to add flour. Nothing to lose by allowing time to develop the dough. Folded 30 minutes into the first hour bulk fermentation, then allowed a 2nd of about 2 1/2 hours. Nice puffy dough, much less sticky, by the time I placed on counter to follow remaining directions. 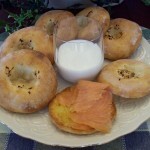 Thank you for a another great recipe! Laura, I just love your enthusiasm! The mixing can get a bit tricky, especially right after adding the butter, but eventually the dough comes together nicely. It was good to hear that you’re evaluating the consistency of your dough and adding or holding back water, as needed. 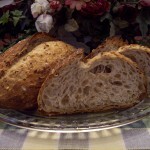 Hydration levels can have a large effect on the quality of the crumb. 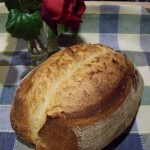 Have you tried with a real baking bread ? Is that because it’s more a cake than a bread ? 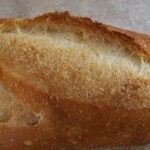 Bienvenue à Bread cetera! Your Google translation is fine. I wish I was better able to answer you in French. 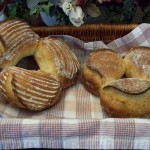 First, congratulations on winning first prize in the baking contest that was recently held on Votre Pain! 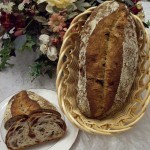 The cinnamon raisin bread is very much a bread with a tender yet elastic crumb (mie). There is no technical reason why a loaf pan must be used. 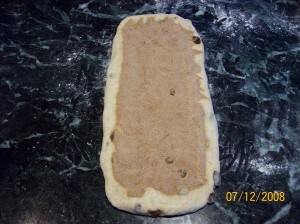 Here in the U.S., cinnamon raisin breads are traditionally sold in loaf pan form. Also, the loaf pan form nicely displays the cinnamon swirl when cut. Thanks again for that beautiful recipe. Is it because it’s Sunday and so sunny outside (although that volcano dust is still hanging over us, and airports still closed …) that it’s hard to keep my eyes on my screen, but I can’t find in your recipe whether you preheated the oven or not? I guess you did, but how long? 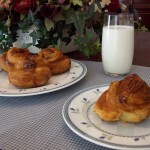 Thanks for taking the time to translate the recipe for cinnamon raisin bread into French for publication on Votre Pain. While I do preheat my oven before baking, I rarely give instructions on how long the preheating period should be. The reason for this is that every oven is different with respect to how long it takes for the oven to reach the desired baking temperature. For example, because my oven has a relatively thick baking stone and contains a roasting pan full of clean landscaping stones to increase the thermal mass of the oven, it takes about 1 hour of preheating time before my oven equilibrates at the desired baking temperature. Ovens with thinner baking stones, or none at all, will take significantly less time. The last 2 times I’ve made this the dough has been too dry (perhaps my flour is drying out?). When this occurs, slap and fold becomes very difficult without breaking the outer skin. This led me to wonder about what mixing/developing method to use for different hydrations. 2. 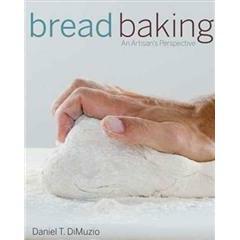 Do you still use slap/fold instead of a mixer to develop the dough? 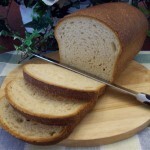 As a rich pan bread, it needs very good development to get the soft fine crumb. My mixer has more strength but, with it’s C hook, uneven kneading (some dough globs onto the hook while other parts get twirled and twisted continuously – talk about breaking gluten strands). 3. 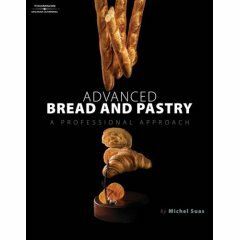 At what hydration would you not use slap/fold to develop the dough but rather conventional kneading, mixer, or stretch and fold? Sorry for all the questions! 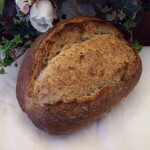 I just ate a warm piece of this bread (mmmm!!) and see that it developed fine, but it still feels wrong using slap/fold when I see the skin break so much. 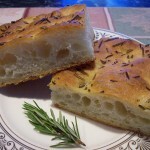 As with all the recipes on this blog, the amount of water used to mix a dough may need to be adjusted to arrive at the dough consistency described. 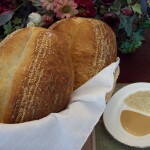 The technique of double hydration, which allows for proper gluten development in high hydration doughs, is typically used only when mixing high hydration doughs. 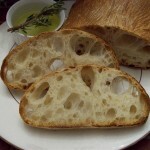 On the other hand, the technique of double flour addition, used to increase the number of nucleation sites within the dough as thus increase the potential for an open crumb structure, can be used for doughs of any hydration. Currently, I am using the double flour addition technique with just about every dough that I’ve been mixing in my home planetary stand mixer. On those times when I mix dough by hand, the double flour addition technique is of little added benefit and is therefore not used. on 29 Sep 2010 at 9:22 pm27 Chris J. 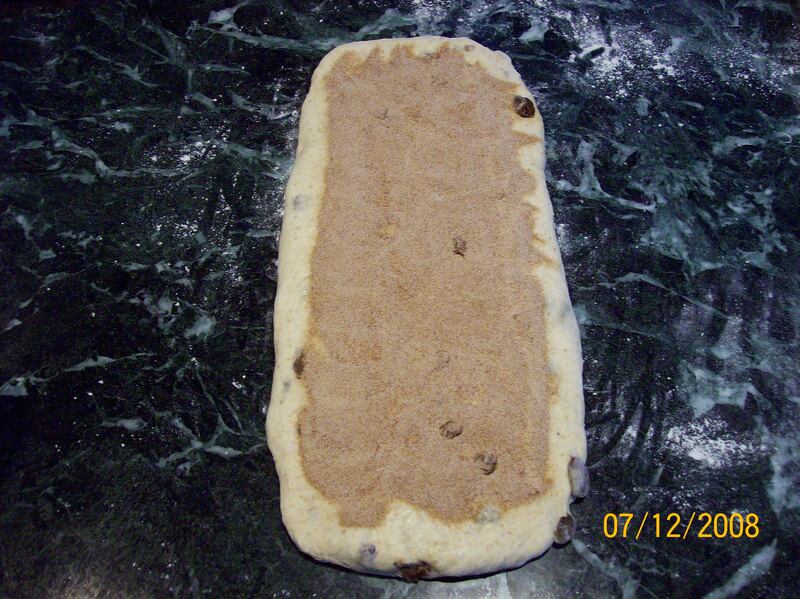 Are the Cinnamon Raisin Bread loaves in your picture products of the double flour addition? So far, i have made this recipe at least 5 or 6 times and everyone loves it, myself included. But i never can get mine to rise to the point where it looks like a full sized loaf. But i have not at this point used a mixer for the double flour addition, so that may be the reason. I just figured that maybe i was overworking the dough by getting it to the desired gluten development, and then adding the butter and continuing to mix until smooth. In any case, my best attempts to wreck your recipe still leave a loaf that leaves me wishing i could unhinge my jaw as to place the whole loaf gently and lovingly into my stomach. Thanks for your site and willingness to share what you have learned. The cinnamon raisin loaves shown above were made before I started using the double flour addition technique. 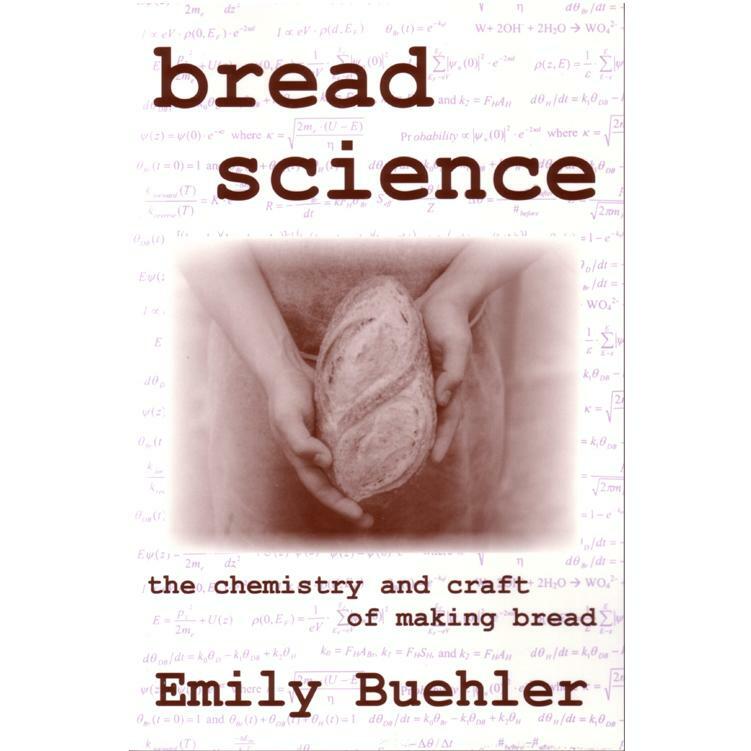 There are a number of factors which contribute to the volume of a loaf, including the degree of dough development, the timing of your first and second fermentation periods and the tightness of your shaping. You may want to experiment with these variables to see if you can get the volume of your loaf to where you’d like it to be. on 30 Sep 2010 at 9:40 pm29 Chris J. Thanks for explaining those factors. Is it possible to go too long with the first fermentation or would it be better to go too long rather than too short? With this bread, i haven’t gone over an hour. Also, if one were to scale this recipe for 6 loaves, for instance, would the fermentation times need to be altered? And would it be ideal to split into 3 parts for the first fermentation or does that really not matter? Thanks again! It is quite possible to have too long a first fermentation. 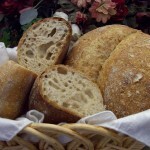 If the dough is allowed to ferment for too long, proteases present in the dough will begin to degrade the gluten, leading to a reduction in the elasticity of the dough. A one hour first fermentation, at the specified temperature (72°F), should be sufficient for the formula in the post above. Scaling up of the formula may have a minor effect on fermentation times, due to the mass effect (i.e., a smaller surface to volume ratio with larger quantities of dough leads to slower temperature equilibration times) but nothing significant enough to warrant splitting up the first fermentation batch. 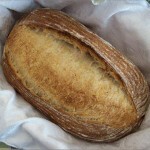 After all, commercial artisan bread bakeries ferment large multi-kilo dough batches all the time. on 10 Jul 2011 at 4:56 pm32 Chris J.
on 10 Jul 2011 at 5:18 pm33 Chris J.
Hmmmm, i may have partially figured out some of my questions. the total weight of the poolish comes to 80% of the flour weight, and with not figuring the weight of the flour and water from the poolish into the over all flour and hydration percentages, the dough would be at 52% hydration (if i’m thinking about this correctly). Originally i added the poolish flour and water to the total flour and hydration percentages and figured the dough to be at 66% hydration, which seemed a little high. I feel like there’s something easy that’s not clicking. You are quite right. The percentage of butter in the formula is in error. The flour from the poolish should have been included in the calculation. The correct percentage should be the amount of butter divided by the total amount of flour in the formula or 90/(185+380+40+40) = 14%. Thanks for the correction! 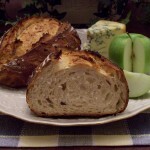 This is one of my favorite breads to make! I figure it’s about time that I thank you for it as it’s my go to cinnamon raisin loaf… and my go to dough for sweet breads. 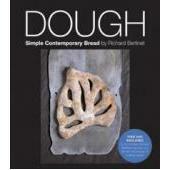 The dough texture is one of those that you could happily knead or french fold all day. Two questions. What siaze loaf pans ? Finished internal cooking temperature ? The loaf pans used were standard 8½” x 4½” pans. One can use an internal temperature of ~200ºF as a measure of when baking is complete. 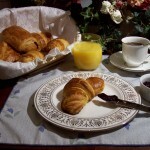 I hope to continue to share your recipes! and hopefully one day I can get to their level of professionalism that is! Thank you for your kind words. 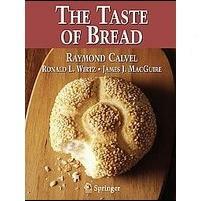 I’m glad you enjoy reading and baking the recipes from Bread cetera. Just completed my bake. When I got home from work I didn’t feel like hand kneading so I used the double-flour/double-hydration method. There was a bit of fiddling when adding the butter and raisons, had to turn the dough around a bit with a spatula to help the effort. Otherwise a very easy effort, and from the look of the loafs there are no ill effects. I will see if Dennis gives it his two-thumbs-up when he crawls out of bed in the morning! How great to hear from you again! I have no doubt that you will once again garner Dennis’ coveted ‘two-thumbs-up’.